Given the extraordinary buffet of technology and tech-related options and alternatives available to us, it fascinates me to learn what people I know and trust use on a day-to-day basis. In this, the debut edition of What The Pros Use, I polled a group of social business and content geniuses to determine what they use to swaddle their iPads. The fact that I didn’t consider for even a nanosecond that any of these folks wouldn’t have an iPad is an interesting circumstance too. David uses the original Apple rubber case for iPad version 1. 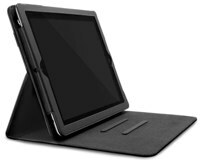 Apple Smart Cover for iPad 2, but I ensconce the entire thing in the Case SIMPL sleeve. I love Case SIMPL because it turns your iPad (or laptop) sleeve into a mobile office. Room for business cards, a notebook, pens, iPod, and a bunch of other stuff, but still in a small size with meaningful protection. Also, made in Chicago, which is nice. Chris also uses the Apple magnetic Smart Cover for iPad 2, but is not terribly enthusiastic about that choice. Brian also uses the iPad 2 smart cover, but is branching out with a bluetooth keyboard. Like David Armano, CC uses iPad 1 and the original rubber case, due in particular to its easy folding for typing purposes. Niki also uses the iPad 2 smart cover, but may be the only person I’ve spoken with who actually likes it a lot. This is not Jason Falls. Always supporting the local angle, Jason uses the ModulrCase manufactured in Louisville. It’s a multi-functional case that even includes a refrigerator magnet mount! A recently purchaser of the iPad 2, exacting Ann has been pondering her case options. After eschewing the Smart Cover and several other candidates, she settled on the DODO Case. Road warrior Amber swears by the Go In Case, which offers multiple integrated screen positions. 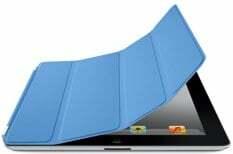 Scott uses the iPad 2 Smart Cover, but recognizes it may not be a 100% solution. There you have it. What the Pros Use: iPad cases. Lots of market penetration for the smart cover, but not a lot of love for it, really. Several other interesting options to consider. (Don’t forget that I’m giving away laptop and Kindle cases randomly to people that tweet this post, courtesy of Case SIMPL). What do you use for your iPad?